The boards of AT&T and DirecTV held special meetings on Sunday where they approved a plan for the latter to be bought out by the former for $95-per-share. Rumors of the deal surfaced early last week and it was leaked then that a deal could be announced within days, and so it has, with both boards approving the deal simultaneously and unanimously. AT&T will acquire DirecTV in a mix of stock and cash. AT&T trumps this deal as a creation of a “unique new competitor with unprecedented capabilities in mobility, video and broadband services.” It is expected that AT&T will use this new asset to augment U-Verse offers, which will, in turn, free up bandwidth demands in those markets. 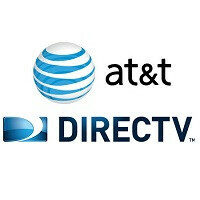 DirecTV is already sold at many AT&T retail locations, and with a portfolio that includes NFL Sunday Ticket, and other sports oriented content offers, AT&T will be able to better bundle these services with its wireless line-up, including expanded delivery of content to mobile devices. AT&T has issued a number of commitments as part of the transaction. AT&T plans to deploy broadband services to more rural areas by using fixed-wireless and fiber installations. A stand-alone broadband package with guaranteed pricing for three years. There will be a nationwide DirecTV pricing package, consistent for three years. AT&T also commits to net-neutrality, regardless of any rulings that come from the FCC that may vacate such requirements. Finally, AT&T re-committed to participate in next-year’s spectrum auction, although it does point out the caveat “as long as there is sufficient spectrum available in the auction to provide AT&T a viable path to at least a 2x10MHz nationwide spectrum footprint.” The company notes that the deal with DirecTV will not stop it from spending at least $9 billion in the auctions in 2015. Of course, regulators in Washington, DC, a few states, and some governments in Latin America need to sign off on the deal. Assuming everything moves forward, that process will take about a year. DALLAS, TEXAS and EL SEGUNDO, CALIF. – May 18, 2014 – AT&T (NYSE:T) and DIRECTV (NASDAQ:DTV) today announced that they have entered into a definitive agreement under which AT&T will acquire DIRECTV in a stock-and-cash transaction for $95 per share based on AT&T’s Friday closing price. The agreement has been approved unanimously by the Boards of Directors of both companies. The transaction combines complementary strengths to create a unique new competitor with unprecedented capabilities in mobility, video and broadband services. DIRECTV is the premier pay TV provider in the United States and Latin America, with a high-quality customer base, the best selection of programming, the best technology for delivering and viewing high-quality video on any device and the best customer satisfaction among major U.S. cable and satellite TV providers. AT&T has a best-in-class nationwide mobile network and a high-speed broadband network that will cover 70 million customer locations with the broadband expansion enabled by this transaction. The combined company will be a content distribution leader across mobile, video and broadband platforms. This distribution scale will position the company to better meet consumers’ future viewing and programming preferences, whether traditional pay TV, on-demand video services like Netflix or Hulu streamed over a broadband connection (mobile or fixed) or a combination of viewing preferences on any screen. The transaction enables the combined company to offer consumers bundles that include video, high-speed broadband and mobile services using all of its sales channels -- AT&T’s 2,300 retail stores and thousands of authorized dealers and agents of both companies nationwide. DIRECTV has premier content, particularly live sports programming. It has the exclusive pay TV rights to NFL SUNDAY TICKET that provides every out-of-market game, every Sunday afternoon, on TV, laptops and mobile devices. The new AT&T will be better positioned to develop unique content offerings for consumers through, among other initiatives, AT&T’s joint venture with The Chernin Group. Today, DIRECTV’s content ownership includes ROOT SPORTS Networks and minority stakes in the Game Show Network, MLB Network, NHL Network and the Sundance Channel. DIRECTV will continue to be headquartered in El Segundo, California, after the deal closes. Together, the companies will be a stronger competitive alternative to cable for consumers wanting a better bundle of top-quality broadband, video and mobile services, as well as a better customer experience and enhanced innovation. Consumers will also benefit from the combined companies’ additional scale in video content distribution across its mobile, video and broadband networks. The combined company will continue to provide the world-class service and best video and entertainment experience for which DIRECTV is known. 15 Million Customer Locations Get More High Speed Broadband Competition. AT&T will use the merger synergies to expand its plans to build and enhance high-speed broadband service to 15 million customer locations, mostly in rural areas where AT&T does not provide high-speed broadband service today, utilizing a combination of technologies including fiber to the premises and fixed wireless local loop capabilities. This new commitment, to be completed within four years after close, is on top of the fiber and Project VIP broadband expansion plans AT&T has already announced. Customers will be able to buy broadband service stand-alone or as part of a bundle with other AT&T services. Stand-Alone Broadband. For customers who only want a broadband service and may choose to consume video through an over-the-top (OTT) service like Netflix or Hulu, the combined company will offer stand-alone wireline broadband service at speeds of at least 6 Mbps (where feasible) in areas where AT&T offers wireline IP broadband service today at guaranteed prices for three years after closing. Nationwide Package Pricing on DIRECTV. DIRECTV’s TV service will continue to be available on a stand-alone basis at nationwide package prices that are the same for all customers, no matter where they live, for at least three years after closing. Net Neutrality Commitment. Continued commitment for three years after closing to the FCC's Open Internet protections established in 2010, irrespective of whether the FCC re-establishes such protections for other industry participants following the DC Circuit Court of Appeals vacating those rules. Spectrum Auction. The transaction does not alter AT&T’s plans to meaningfully participate in the FCC’s planned spectrum auctions later this year and in 2015. AT&T intends to bid at least $9 billion in connection with the 2015 incentive auction provided there is sufficient spectrum available in the auction to provide AT&T a viable path to at least a 2x10 MHz nationwide spectrum footprint. DIRECTV’s Latin American business is the leading pay TV provider in the region and has more than 18 million subscribers, including all Sky Mexico customers. DIRECTV’s satellite platform’s broad reach remains advantaged when compared with cable and telco in Latin America. Latin America has an underpenetrated pay TV market (about 40% of households subscribe to pay TV) and a growing middle class, and is DIRECTV’s fastest growing customer segment. DIRECTV shareholders will receive $95.00 per share under the terms of the merger, comprised of $28.50 per share in cash and $66.50 per share in AT&T stock. The stock portion will be subject to a collar such that DIRECTV shareholders will receive 1.905 AT&T shares if AT&T stock price is below $34.90 at closing and 1.724 AT&T shares if AT&T stock price is above $38.58 at closing. If AT&T stock price at closing is between $34.90 and $38.58, DIRECTV shareholders will receive a number of shares between 1.724 and 1.905, equal to $66.50 in value. This purchase price implies a total equity value of $48.5 billion and a total transaction value of $67.1 billion, including DIRECTV’s net debt. This transaction implies an adjusted enterprise value multiple of 7.7 times DIRECTV’s 2014 estimated EBITDA. Post-transaction, DIRECTV shareholders will own between 14.5% and 15.8% of AT&T shares on a fully-diluted basis based on the number of AT&T shares outstanding today. AT&T intends to finance the cash portion of the transaction through a combination of cash on hand, sale of non-core assets, committed financing facilities and opportunistic debt market transactions. To facilitate the regulatory approval process in Latin America, AT&T intends to divest its interest in América Móvil. This includes 73 million publicly listed L shares and all of its AA shares. AT&T’s designees to the América Móvil Board of Directors will tender their resignations immediately to avoid even the appearance of any conflict. AT&T expects the deal to be accretive on a free cash flow per share and adjusted EPS basis within the first 12 months after closing. The combination provides significant opportunities for operating efficiencies. AT&T expects cost synergies to exceed $1.6 billion on an annual run rate basis by year three after closing. The expected synergies are primarily driven by increased scale in video. Along with DIRECTV’s current strong cash flows, this transaction is expected to support future investment in growth opportunities and shareholder returns. The combination diversifies AT&T’s revenue mix and provides numerous growth opportunities as it dramatically increases video revenues, accelerates broadband growth and significantly expands revenues from outside the United States. Given the structure of this transaction, which includes AT&T stock consideration as part of the deal and the monetization of non-core assets, AT&T expects to continue to maintain the strongest balance sheet in the industry following the transaction close. AT&T’s 2014 guidance for the company remains largely unchanged. However, the company’s intention is to divest its interest in América Móvil, which will result in an approximately $0.05 reduction in EPS, as the América Móvil investment will no longer be accounted for under the equity method. Adjusted 2014 EPS growth is now expected to come in at the low-end of the company’s mid-single digit guidance. The merger is subject to approval by DIRECTV shareholders and review by the U.S. Federal Communications Commission, U.S. Department of Justice, a few U.S. states and some Latin American countries. The transaction is expected to close within approximately 12 months. Uh if you say so. I hear you. I myself cut cable about a couple of years ago and don't miss TV. However, by joining the ATT's Internet infra-structure with DTV's media deals, the move away from conventional TV to on-demand content might actually be easier to both merging companies. Boy that was a dumb post. Not stubborn, just not interested in a pointless debate with you. the geekiness on this one is too damn high. I dont think tv is going away anytime soon I know me and other people who are not paying for Netflix and wont ever pay for it.Besides if u had uverse u dont need Netflix I had dish,direct tv and at&t uverse n uverse was the best!! Its awesome! Huh? Spell checker not working today? If anyone thinks that Cable Companies and Phone Companies will continue shrink in Television subscribers and not jack up internet rates is crazy Also look at more channels are starting to demand subscribers for television to access their new content(ABC). I can see the day come that says if you have television internet it will be X price and if you don't it will be X times 3. Television providers will not allow to lose all the subscribers to internet. They will also demand much higher fees from Amazon and Netflix. “a unique new monopoly with unprecedented monpoly power in mobility, video and broadband services.” It seems with each new merger of corporate giants, America takes another step further into fascism. "Fascism should more properly be called corporatism because it is the merger of state and corporate power." - Benito Mussolini. The cable industry is already a monopoly anyway. Providers agree to set a certain price that's the same everywhere, and you rarely find two providers serving in the same area. Take for example Comcast and time warner cable, where there is one, there isn't the other. It is a monopoly sponsored by city councils around the country which granted them exclusivity for a many years, creating a barrier to competitors. I think that the FCC should tell AT&T if they want DirecTV, they must first divest all their fiber and U-Verse to competitors in those markets. With the new spectrum acquired they will NOT be able to use it for mobile services at any point in the future, and all spectrum must either be used for television services or low-cost rural internet with actual real-world data usage limits (none of this 2, 5, 10GB usage, think more like 250-300GB usage limits or more). If AT&T wants to use the tried and untrue, "We will be able to expand into rural markets with DirecTV" line like they tried to use with T-Mobile merger that failed, then they should be forced to actually do so, and under highly regulated conditions. They are the ones that want to expand so badly, then let them, but not at the expense of the customer. They own copper landline in rural areas they could extremely cost efficiently and effectively convert majority of this to fiber, or use DirecTV spectrum to relay calls from base stations in rural areas to the central offices that carry fiber, thus providing some form of next generation services. Um no AT&T should be able to use the spectrum they require for mobile services. I hope the FCC doesn't approve. This merger is bad, especially when you remember the comcast-time Warner deal. It'll basically be those two and Verizon. Some local companies as well but those get bought up all the time. Soon enough there will be only 3 national ISPs. Let the secret price gouging begin. Who's ready to pay 70/mo for 15mb down? You're right bout that. Remember when they try to buy tmobile? Consumers make their plea and at&t drop their bid for buying them. AT&T buying DirecTV is as bad as Facebook buying What'sApp, IMO... What is this world coming to, when the customer is left out in the cold by these companies. Customer Service and spying aren't a big asset in these companies! Your opinion doesn't matter, you didn't spend the 50 billion dollars. AT&T knows what's it's doing. They've been around a long long time. Nope, hate to break it to you - this is a website that was designed to garner opinions....ask phonearena - if you are on your period, then just do not post. Remember, cut the iCampers some slack. It must be getting uncomfortable in the tent that they are camping in. Imagine darkjedii, his wife, Sauce in a little tent now for a few days, with many long months ahead of them. It is a true test of their iFaith. AT&T has been around for just a decade, after the old AT&T that Alexander Bell founded went belly up and was acquired by SBC.